I still can't believe Diwali is over , time runs so fast. 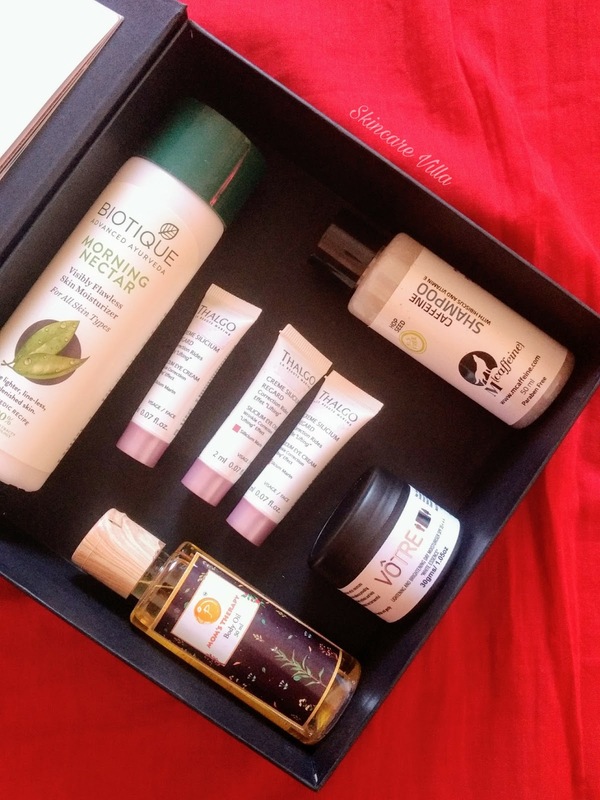 Anyways, while celebrating Diwali I received VanityCask October Box which is the Festive Edition Box. It was a bit late in reaching me, as due to the festivities, courier service has holidays as well as additional parcels. So that's totally understandable. Coming back to the Box let's see what all products are in it and why it's called the Festive Edition. We worked towards creating a box that caters to every problem that your skin and hair face during this busy time. Brighten up your lackluster skin with Votre White Essence Lightening & Brightening Day Moisturiser and Biotique's Morning Nectar Visibly Flawless Skin Moisturiser. Indulge and pamper your skin with Mom's Therapy Body Oil and Thalgo Specialised Creams and Gels. 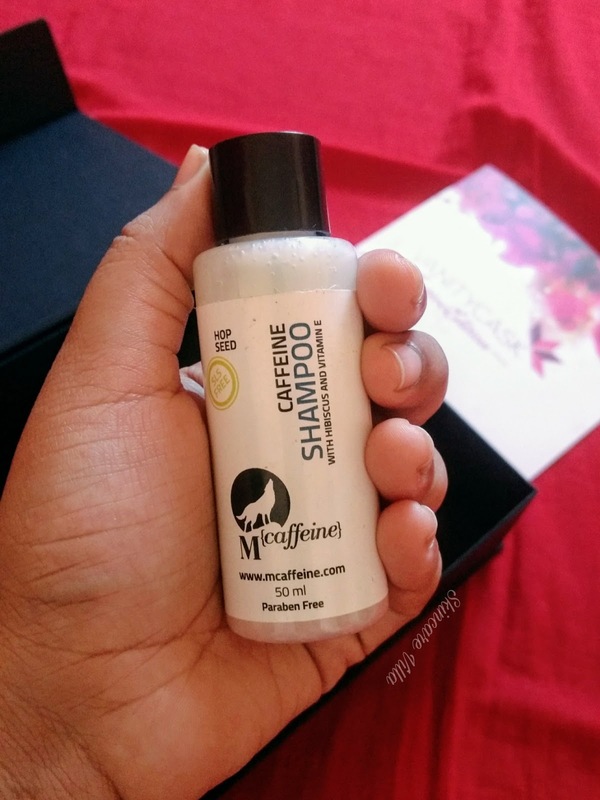 Finally get silky, shiny and healthy hair you have always wanted with McCaffeine's Caffeine Shampoo with Hibiscus and Vitamin E.
Let VanityCask's Festive Edition work it's magic, while you enjoy this year's joyful season like a true diva! This is a good product according to the price point as well as the season. It is dual benefit cream which moisturises the skin and also protects skin from sun damage. The cream is formulated with ingredients like Liquorice, Vitamin C, Wheat Germ oil. Key Ingredients - Liquorice, Vitamin C, Wheat Germ Oil, Tio2, Orange, Radish, Cranberry Fruit extracts and Pomegranate Extracts. Price - 2250 INR for 30 gms , 30 gms quantity in Box. In Diwali we perform Abhyang snan which is a ritual to be followed for 5 days of Diwali. 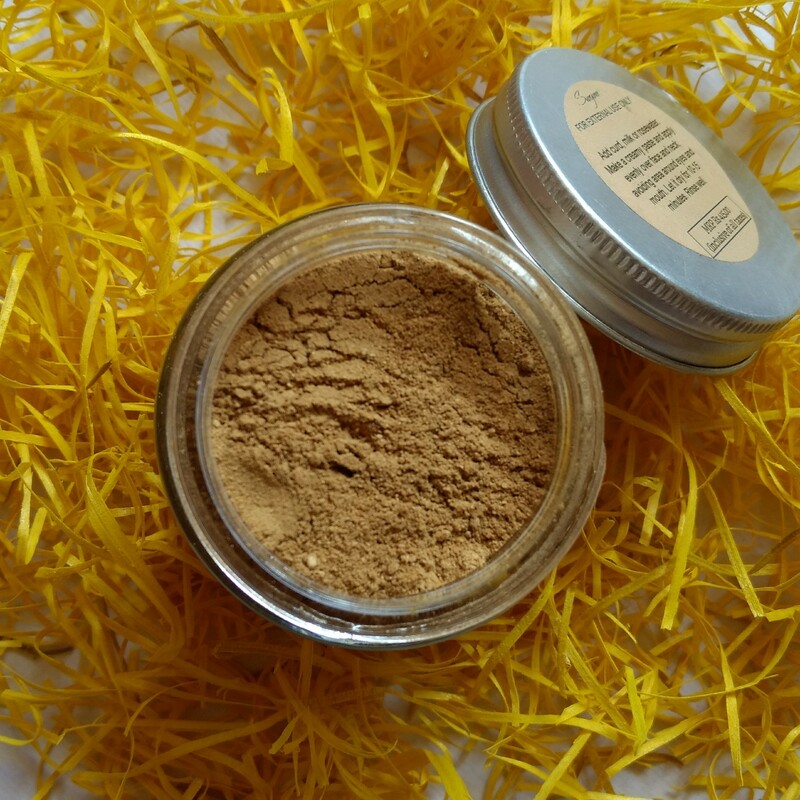 Since in winters skin becomes dry, performing abhyang makes the skin moisturized and soft and supple. I am happy to see a body oil in the Box and how keeping in mind the Festive season it has been picked up 😊. Key Ingredients - Black Sesame Oil, Vitamin E Oil and Essential oil. 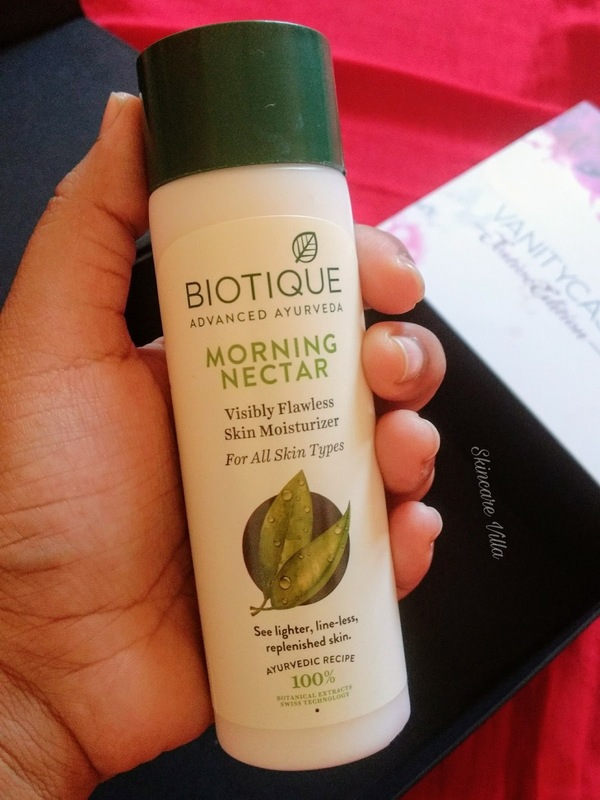 This is the only third product I am using from Biotique and I haven't explored the brand yet, so trying this product would be a good idea. 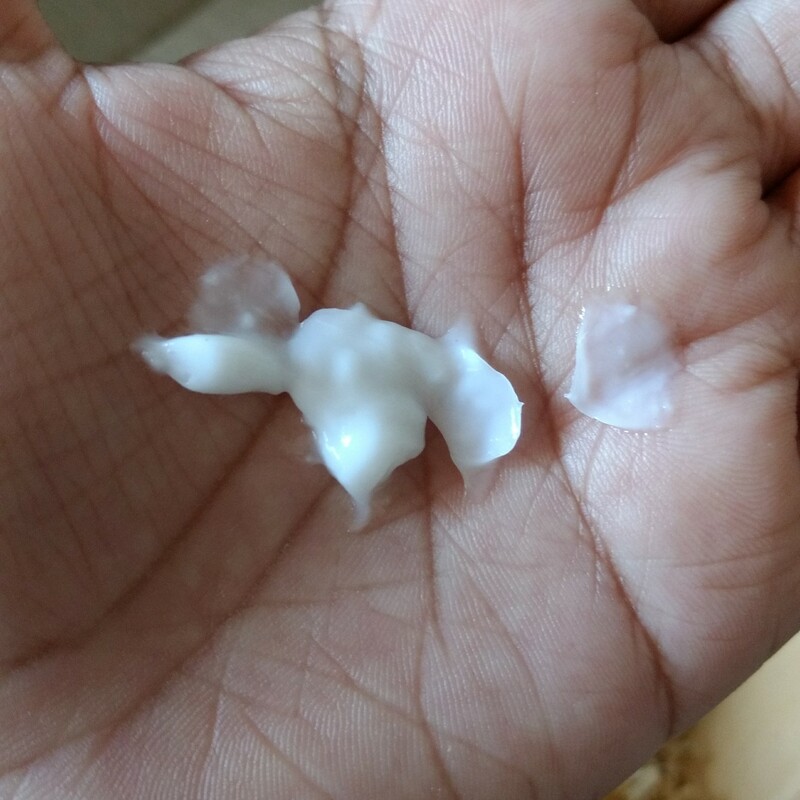 Also the moisturiser is a bit thick and keeping in mind that I get dry patches in winters it would be a great choice. 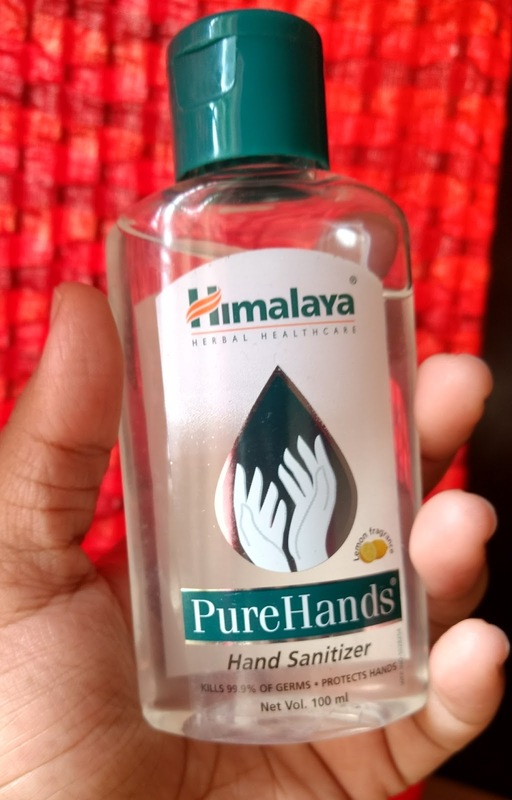 Price - 199 INR for 120 ml, 120 ml in the Box. I am a bit sceptical while using new shampoos and hair care products. So I might give this one a miss. 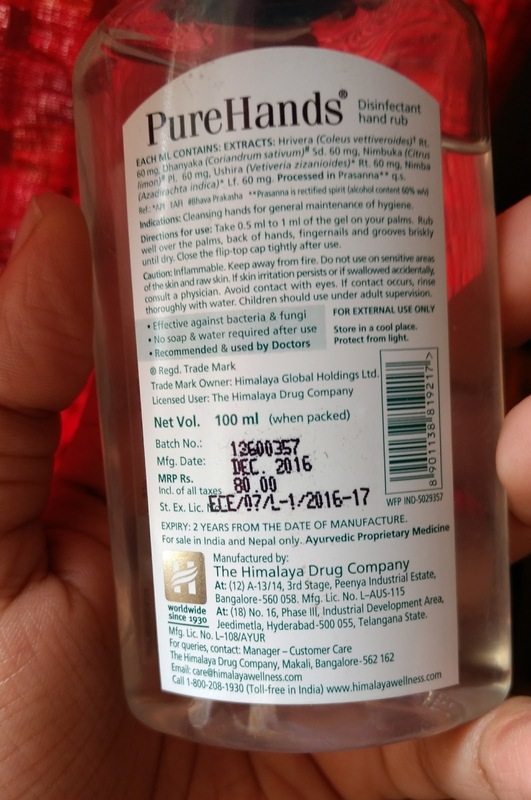 Also while going through the ingredients of the shampoo on the packaging I noticed it has Approved preservatives/fragrance. No information of the Body or Organization which approves preservatives and fragrances in cosmetics and health care brands is mentioned. I mean approved by whom FDA, USDA, ECOCERT or self approved 😂😂. Anyway jokes apart, a product needs to be as transparent as possible 🙂. Price - 479 INR for 150 ml, 50 ml quantity in the Box. 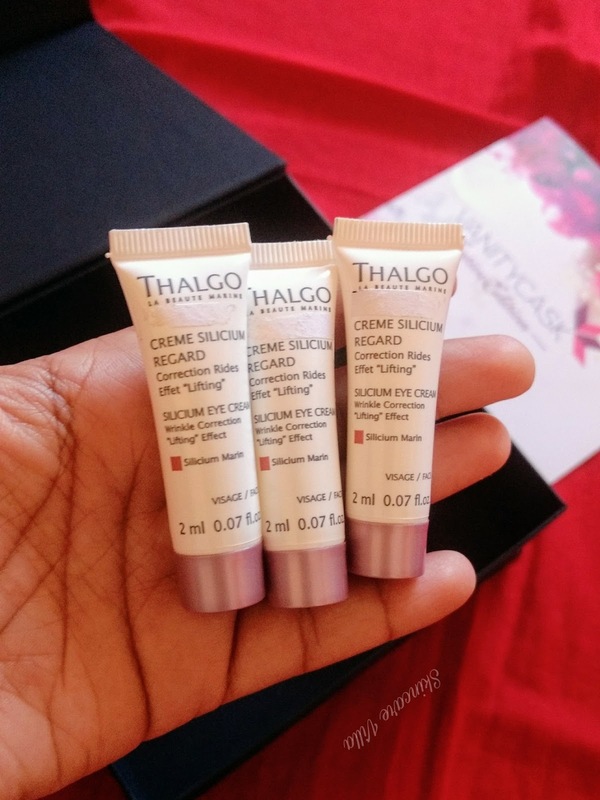 Thalgo is a French brand, which specializes in skincare products formulated with algae and marine extracts. The box has three intensive action creams and exfoliatior. Products are Gentle Exfoliatior, Melt-In Smoothening Brightening Cream and Silicium Eye Cream. Eye Cream sounds amazing as for eye area very little quantity is required. Samples provided are 2-5 ml. Overall speaking Festive Edition Box is quite satisfactory keeping the contents in mind. Right from under eye to body oil, it is curated keeping festive season in mind. Moreover this time no vouchers are provided by any brand or spa, as usually the vouchers have a time limit or price limit to avail and not everyone is keen on that. Except Thalgo and Votre all other brands are ok sort so no particular brand like TNC or Gulnare to look out for. But keeping the festive season in mind it covers all aspects of Skincare and Haircare. 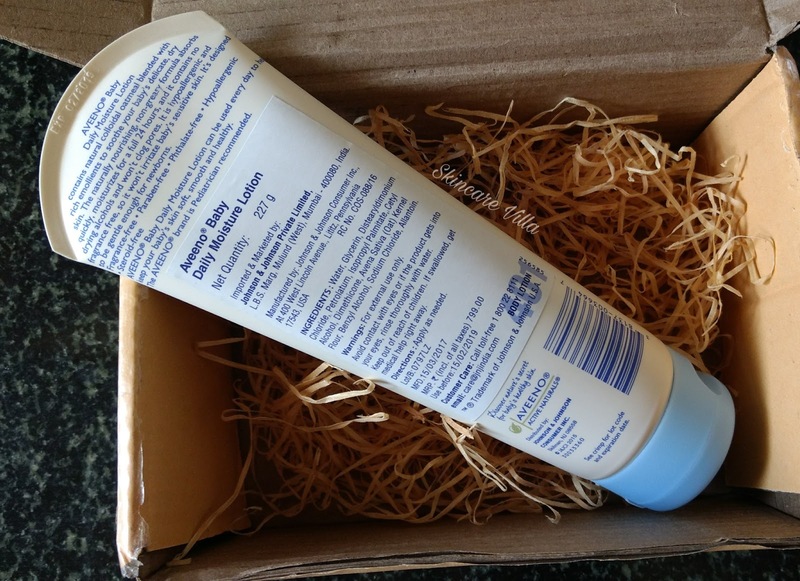 I have already reviewed the Svayam Natural Glow Pack, which I liked a lot. 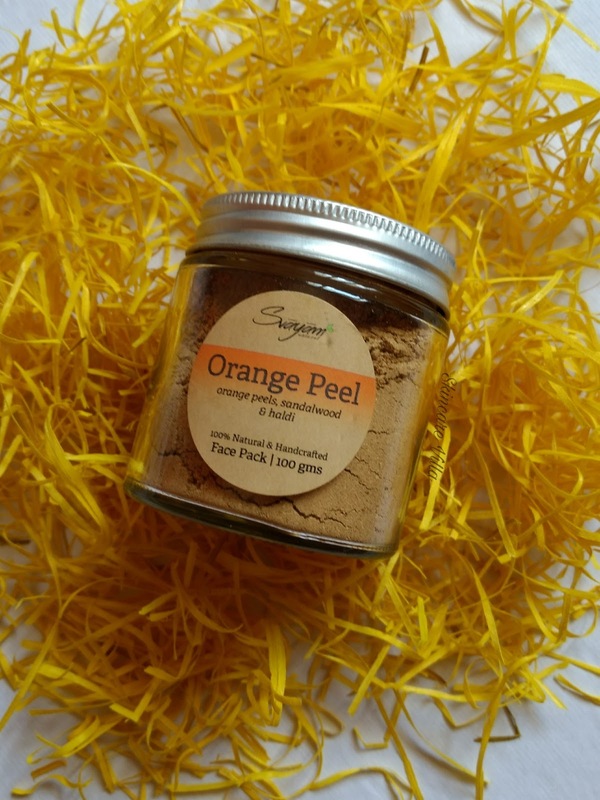 Today's review is about another face pack form Svayam Natural, the Orange Peel Face Pack. The product being in a dry form, leaves room for usage as per our convenience, mood and preference. I usually like to experiment with such products and use them as a cleanser most of the times. The product comes in a wide mouthed glass jar with a metal lid. The packaging is not heavy in weight. I will be reusing the jar once both the products are emptied. The product has all the information printed on the jar. 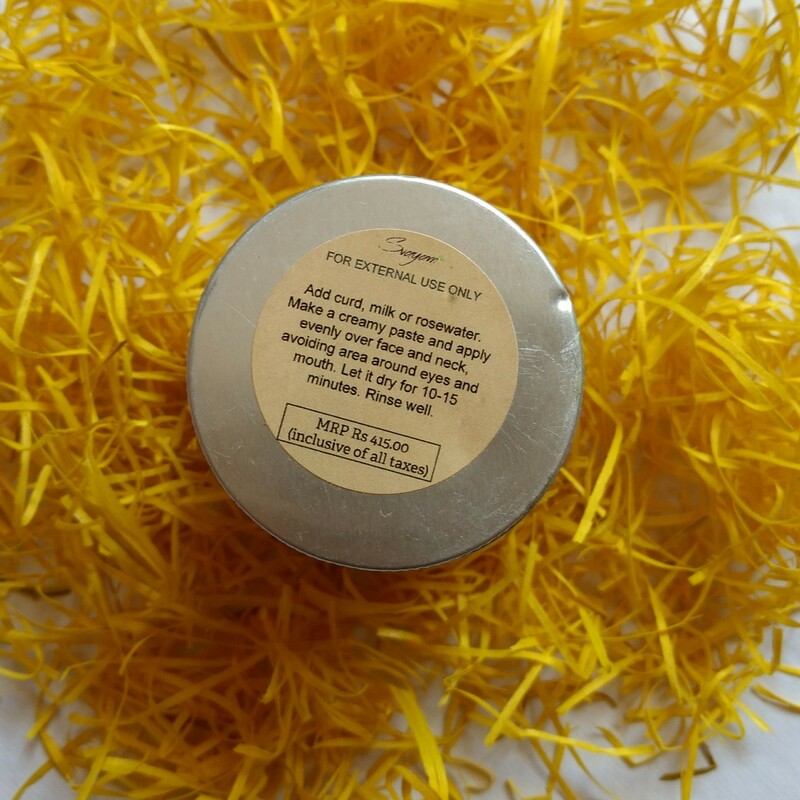 It has a peculiar turmeric fragrance coupled with a bit of orange peel fragrance. Some may not like the fragrance. The consistency of the face pack is a bit grainy. The face pack is versatile as we can add milk, rose water or curd according to our preference, mood or/and skin type. After applying a thin layer all over the face, as the face packs dries the skin gets a itching sensation for initial few applications. It's due to the orange peel in the face pack I think. Once we wash our face and start removing the face pack (which comes out easily) we can notice a soft and clean feeling of the skin. After removing the face pack the skin gets an instant glow on the face. Also the face pack helps in gentle exfoliation due to grainy consistency. I even used it on my tanned feet and it showed some noticeable effects, but to fully see the effects one needs to be regular with the usage, which I wasn't, so I cannot claim anything on tan removal. Overall I liked this face pack for it's cleansing as well as glowy after effects. The only complain I have is the face pack keeps on falling every now and then as there is no binding ingredient in it, or maybe it's my personal experience. The face pack application is quite a task in this case and so I prefer to use it as a scrub or mix with besan and use it. I recommend the Svayam Natural Orange Peel Face Pack as a face cleanser, scrub as well as a face pack. It cleanses and makes the skin glowing. It is definitely a good option to treat your skin to some natural ingredients without overtly bombarding it with chemicals. I still like the Sandalwood Rose face pack over this if given a choice in between the two 😊. This didn't impress me much as expected. Shopping has evolved a lot with the advent of e-commerce websites and easy availability of products at the physical stores. 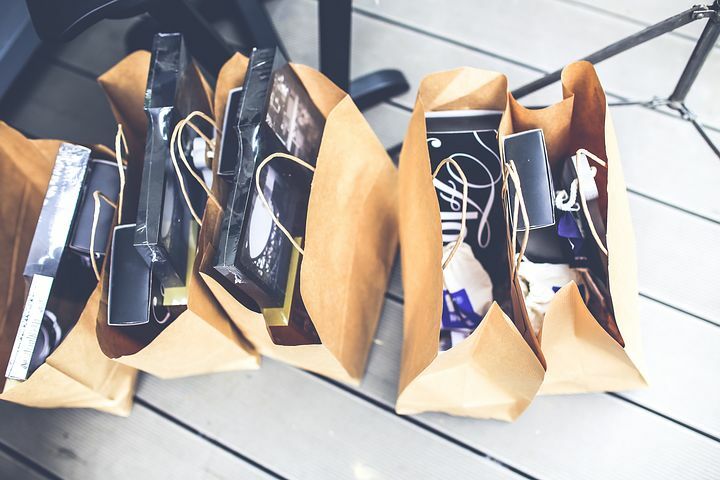 Many people dread the thought of shopping while some consider shopping as a stress buster. As the saying goes 'Whoever says money cannot buy happiness, probably doesn't know where to shop'. Such is the impact of shopping on the human mind, which craves for materialistic things (oh yeah, a fact of life). As far as money is concerned, shopping skills need to be enhanced to grab the right deals and save some money. Let's check out some pointers to improve your shopping skills. The terms and conditions printed in uber small letters, which we often ignore, should be read carefully. Cashback, vouchers, or discounts are valid only on a particular cart value amount. Know the difference between 'Upto 51% off' and 'Flat 51% off'. Flat 51% off is usually on select merchandise. Most offers are on old stock as a stock clearance idea. Loyalty programs help you earn some bucks (on card value) which otherwise you won't earn while spending. You can redeem the points earned on your next shopping. Ask for enrollment in the stores where you shop often. Buying a nice dinner set on display may be a good choice in the store, only to realise it later that you hardly needed it. 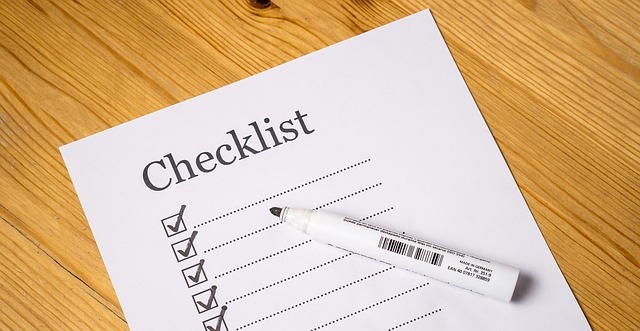 Preparing a list is always a good thing while shopping for necessities. Jotting down the things which you need to buy, helps in organising as well as identifying your needs. Take time to think and then decide which all things you need to buy. Don't shop in a hurry when the time is running out else you may shop for unnecessary things, only to fret about them later. 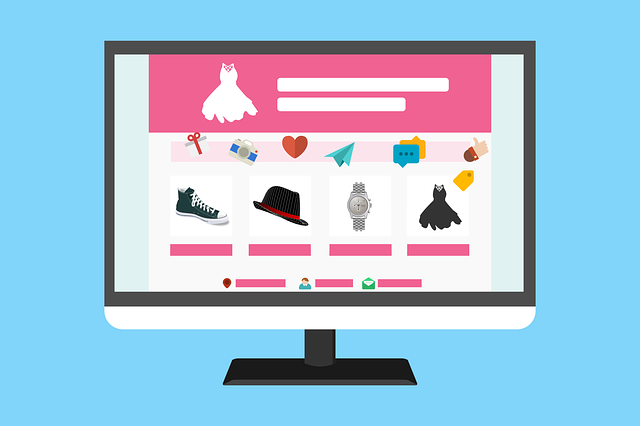 It's better to check and compare prices online while buying electronic gadgets. Gone are the days when we used to think that electronics sold online, are fake. Many e-commerce websites offer huge discounts on electronic products as well have easy refund and return policies. When shopping online, make sure to visit the websites which offer discount coupons. Discount coupons provide extra savings on your cart value. After all, a penny saved is a penny earned. Make use of discounts being offered sites like Amazon during the festive season. So to wrap up the post, it's always good to shop by planning smartly and grab the right deals for products. And also keep in mind that each ongoing sale, in-store or online, doesn't call for a shopping spree. Skincare has taken the beauty industry by storm in the recent years. With the Korean skincare being a hit among the masses, cleansing the skin has become a rage more than necessity. 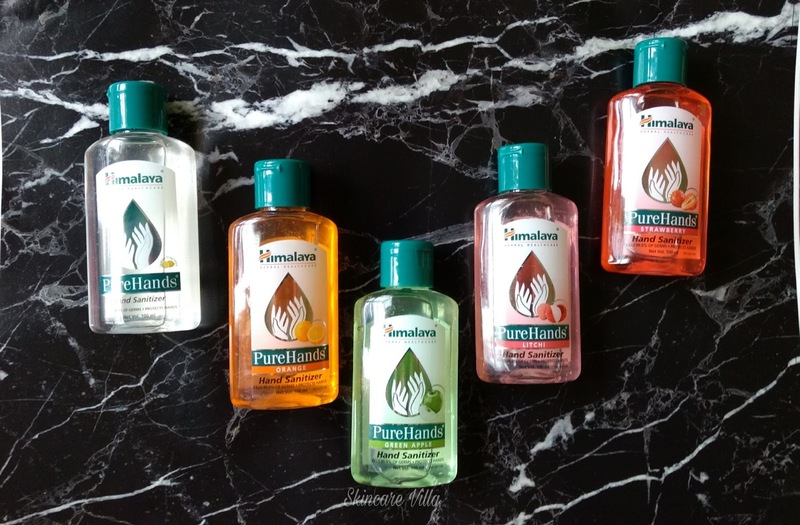 Double cleansing, oil cleansing, foam cleansing you name it and we have it. Cleansing is the first step of a skincare routine we will be taking a look at the best face wash to suit your oily skin according to your budget. Today we will be focusing on foam cleansing for oily skinned beauties. If you have oily or combination skin you can relate to how the skin reacts to breakouts suddenly even while following a proper skincare routine or using the best of products. 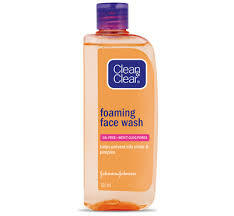 Clean and Clear Face Wash us by far the most popular, easily available over the counter face wash for oily skin. 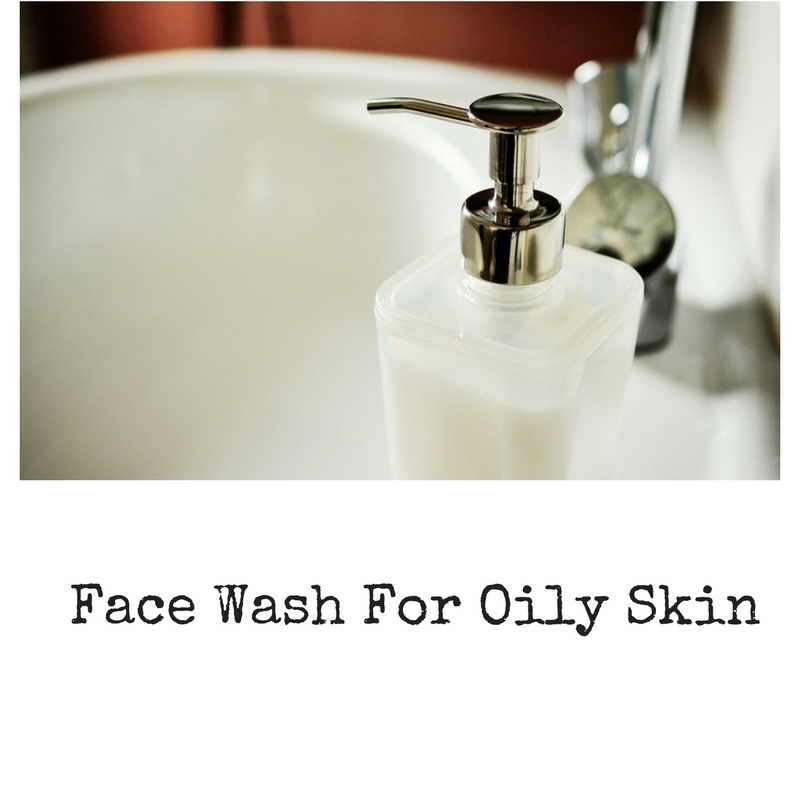 The face wash helps in keeping the oil away for around 7-8 hours and doesn't dry out the skin. Travel friendly product which is also easy on pocket makes it the best choice for oily skinned beauties. 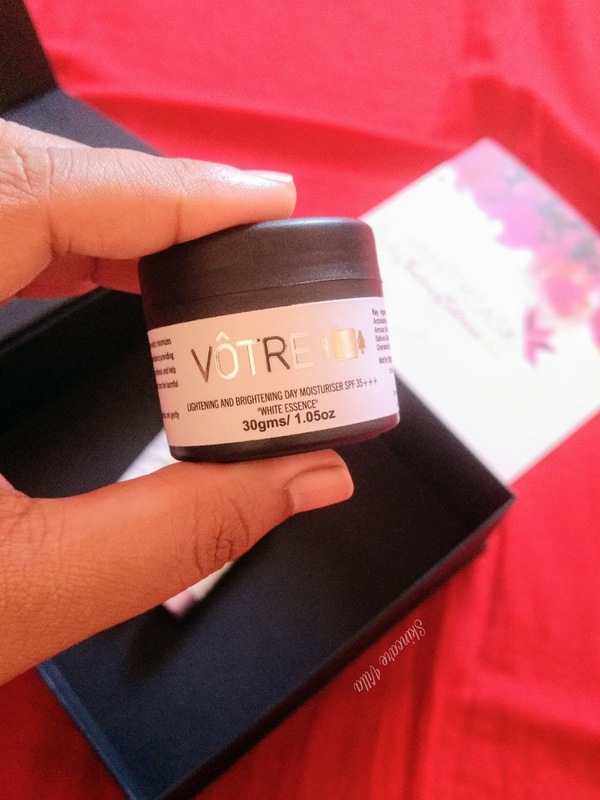 Priced at 55 INR for 50 ml and is easily available in stores as well as online. 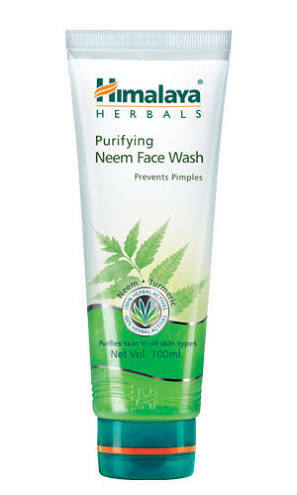 Himalaya Herbals Neem Face wash is also an affordable option for oily skin. It also helps in reducing the breakouts and keeps the sebum secretion in control. 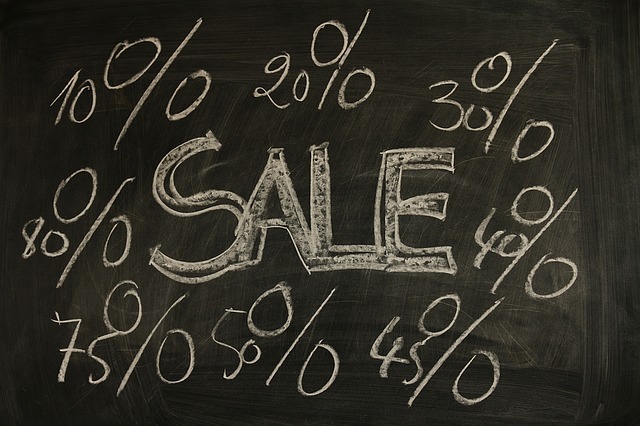 While online shopping on major shopping portals you will often spot this one on discounts. 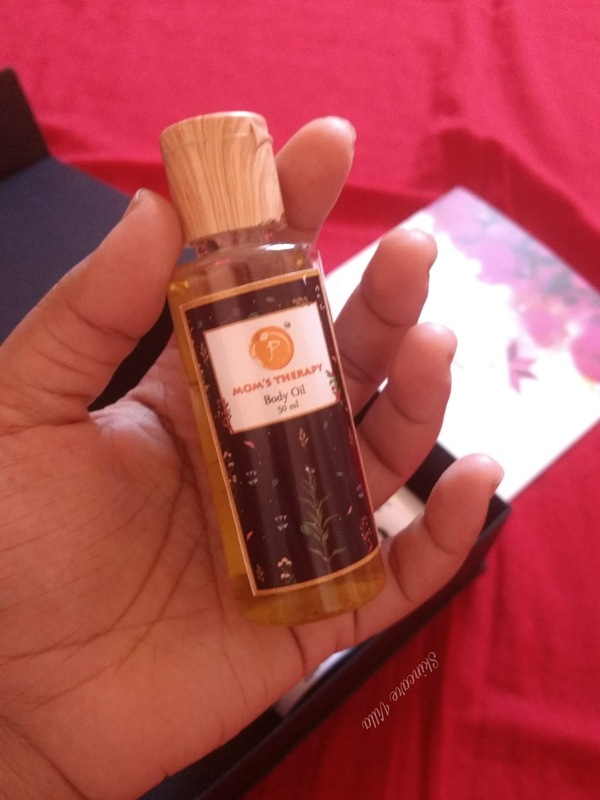 Priced at 55 INR for 50ml and is available in stores as well as online. I may sound like a jerk when I list down this face wash as a good face wash for oily skin. 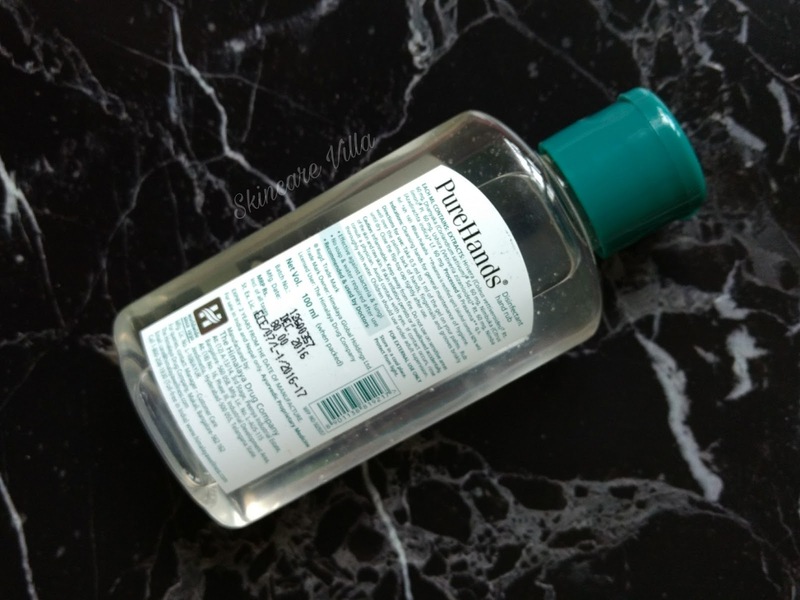 But I have used this face wash regularly and had even repurchased it. It is a good choice if you are looking for an affordable and in-store option. Plum Goodness Pore Cleansing Face Wash is an excellent choice if you are into SLS free face washes. Although it is priced a little higher keeping in mind the quantity, I would still recommend it as a little quantity goes a long way. Moreoever, if you love online shopping this SLS free face wash can be spotted on discounts. Priced at 345 INR for 75 ml and is available online. Kama Ayurveda is pure love according to me. 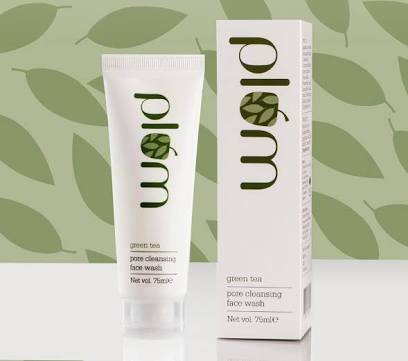 This face cleanser is sheer delight for the oily skin in terms of cleansing, fragrance and travel friendliness. Although priced a bit higher, it can be categorized as a luxurious skincare product. It effectively removes the excess sebum without drying out the skin, exactly what is needed by oily skin. 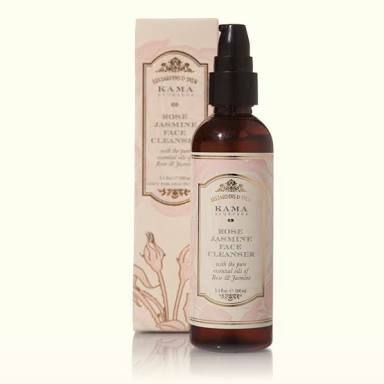 Priced at 375 INR for 50 ml and is available in Kama Ayurveda stores and online. Although all of the face washes listed above don't dry out the skin, it is important to keep in mind not overdoing the cleansing part with foam. The more you cleanse an oily skin the more sebum it secrets. Also, limit using foam cleansing up to twice a day maximum. You can clean your face with a powder cleanser in between to give the skin a breather from chemicals. Always remember being minimalistic works when it comes to troubled, oily skin. The product is packed in a squeeze up tube and the cap is quite tight and hence is non spilling. Although this is a big quantity product, smaller sizes are also available in this. The packaging is attractive as well as travel friendly (barring the size). Now coming to the consistency of the lotion, the consistency is creamy and thin. It's neither a heavy kind of lotion nor thick emollient in nature. The cream spread easily onto the skin and gets absorbed even more readily than that, into the skin. The uncanny thing I noticed about the lotion is that it has a very very subtle fragrance which only sensitive nosed people can detect. You can even go on and say it has nil fragrance. 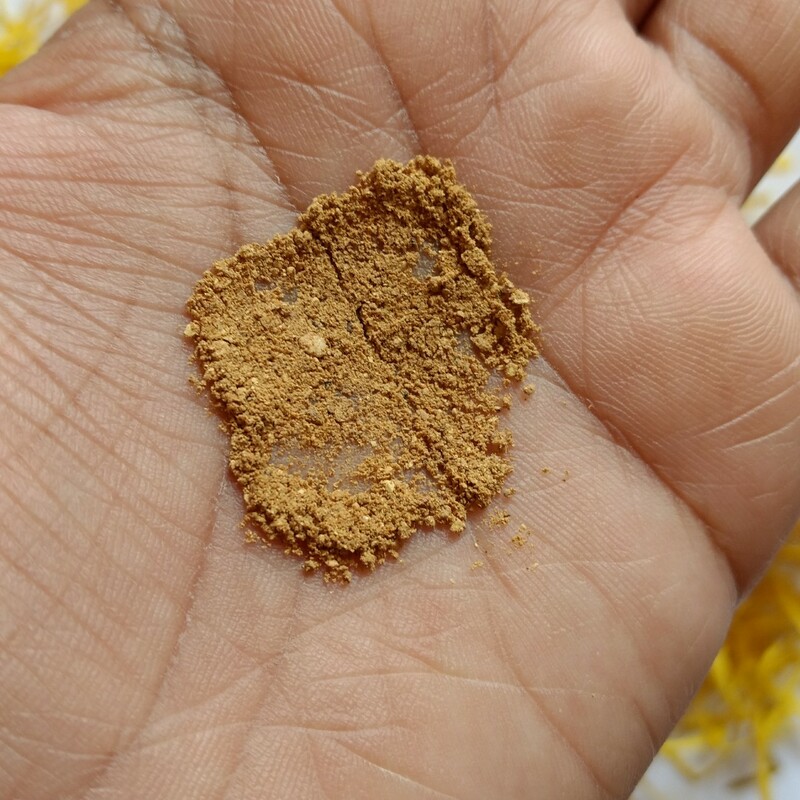 Once you take it on your palm and try to sniff it, an oats kind of fragrance is experienced. No sooner you apply the lotion than the fragrance fades away immediately. I have come across only one such lotion which has zero fragrance. 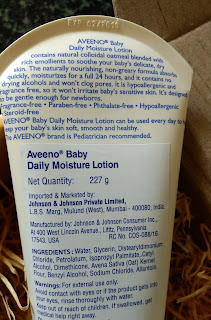 As we all know, sensitive skin like that of babies and small children, should avoid fragrance at any cost and this one rightly fits my son's sensitive skin needs. 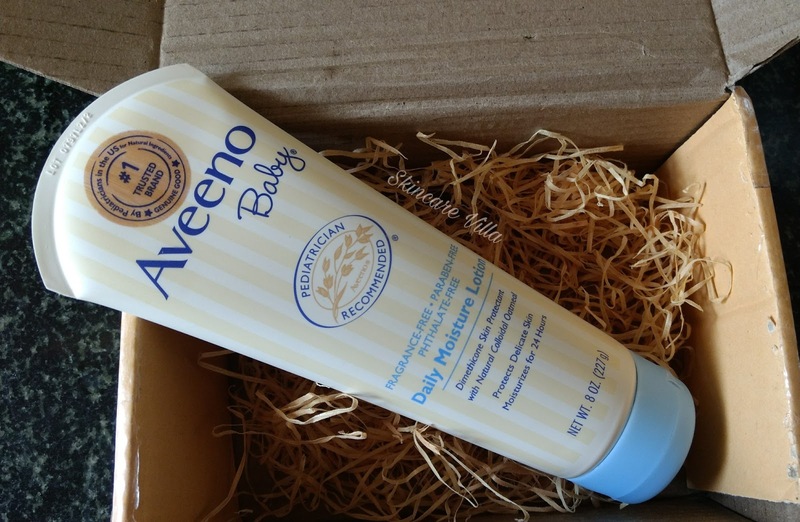 The lotion leaves behind a soft and hydrated skin which looks nourished and healthy. The Lotion is not at all greasy or oily and doesn't leave a residue feeling on skin. Nonetheless my son doesn't even feel like I am applying a lotion and still gets a soft skin 😁. Although I apply the lotion to my skin in the morning after bath, I didn't feel the need to reapply it. Although it's not a winter season now, else a reapplication in 24 hours maybe needed. Summing up in the Recommendation part.